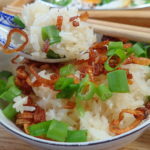 Recently a friend reminded me I have not make my special crispy shallots rice for a long time. Years! 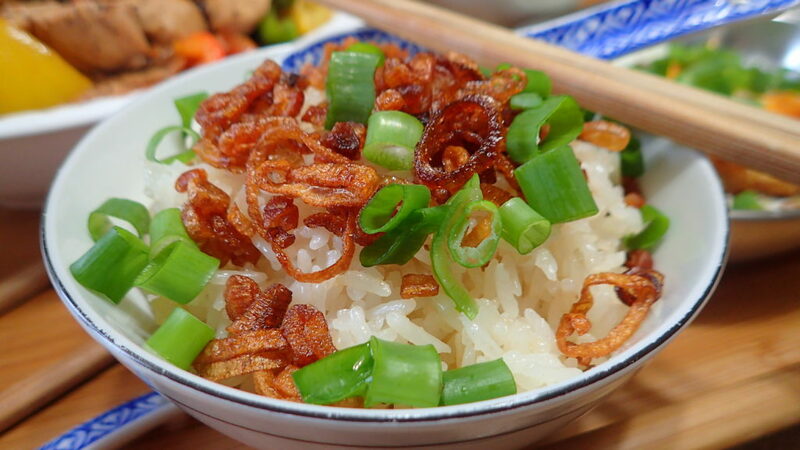 This is because garlic and crispy shallots rice is very moreish and extremely bad for diabetic 😀 I peeled a lorry load of shallots and made shallots crisps the other day and I just have to cook the rice to satisfy my craving. I ate a whole bowl of rice and really wanted more so I had another scope. Sacrilege but I can just eat the rice without and accompaniments. 2 tbsp Chopped fresh spring onions. 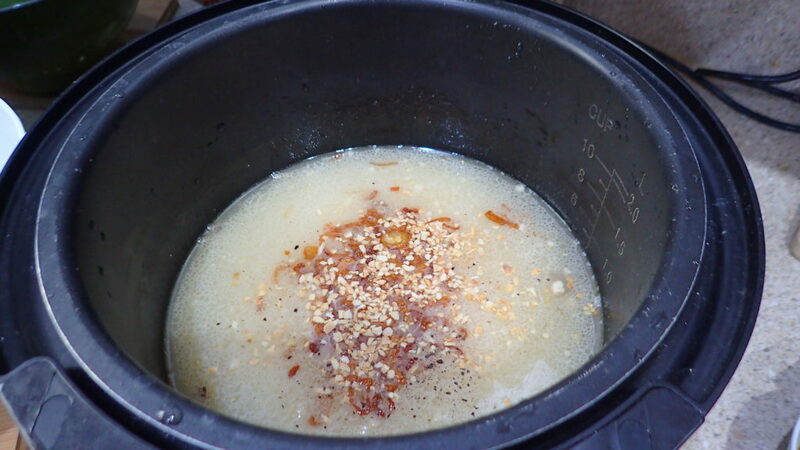 boil the rice as per normal but just mix everything in. I am using New season Jasmine rice because the rice will come out a bit like glutinous rice but just not as sticky. 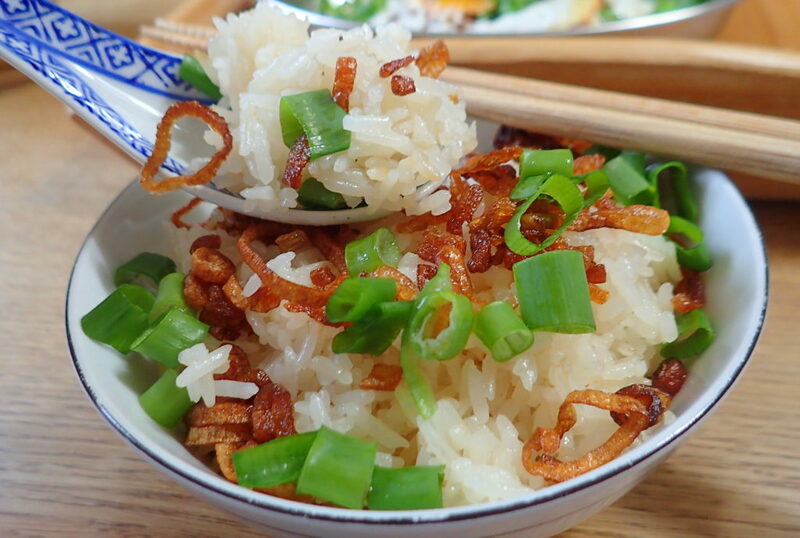 After the rice is cooked just fluff with 2 extra tbsp of shallots oil, serve and top with more crispy shallots and fresh spring onions.